At Alliance Pallet and Recycle we are focused on providing pallets and recycling services with the highest levels of customer satisfaction – we will do everything we can to meet your expectations. Our staff of pallet professionals stands ready to assist you in solving your pallet needs. Everything is by appointment only! So please call to schedule your appointment. "Important- we are unable to Recycle"
Call to get your custom pallet! 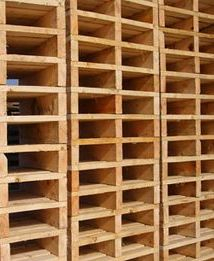 Ask about our Pallet Blow Out Sale on all odd size pallets!!! !